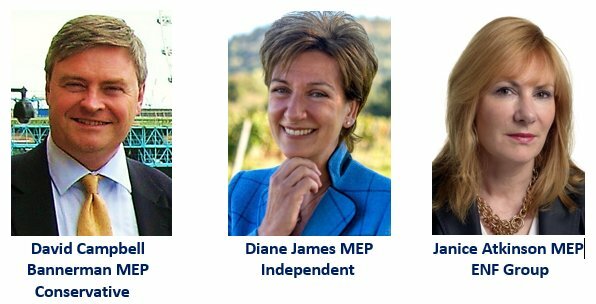 We are delighted to welcome the respected Conservative MEP David Campbell Bannerman to the growing numbers of politicians who are backing our ‘Go WTO’ campaign. This campaign recognises that a clean exit on WTO terms on 29 March is now the best option all round. It is, after all, the default option from Article 50 which MPs voted for by an overwhelming majority. “Most trade in the world is done through global trade deals - free trade agreements. “I’m advocating for the EU-UK trade deal a ‘SuperCanada Deal’ which is bigger, better, wider than the Canada trade deal with the EU (called CETA) that completed last year. Here is the list of the 15 pro-Brexit organisations already backing our Go WTO campaign. We believe this is a record! Naturally we welcome more pro-Brexit organisations and politicians to join this public campaign. Please contact us and we would be pleased to add you. 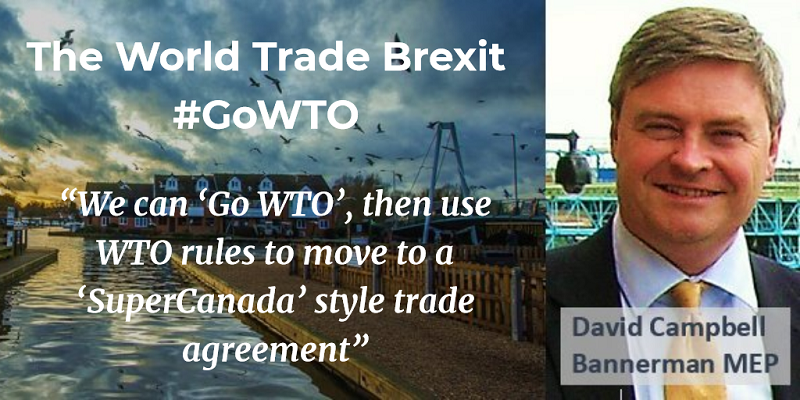 To learn more about what you can do as a member of the public to help in this campaign to get a clean Brexit on 29 March, please see our Go WTO section. And to help fund the fastest-growing Brexit campaign on the web, please donate using one of the methods below. NOTE: We badly need to update this table with lots of other articles we've produced in recent weeks, but we just don't have the resource to do a fraction of what we need to do. Please help us with a donation if you can. Want to leave the EU on 29 March?